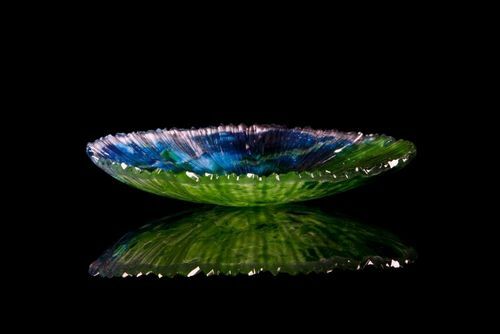 This dish was inspired by the rich green rolling hills of Galloway on the south west coast of Scotland where I was born and raised. 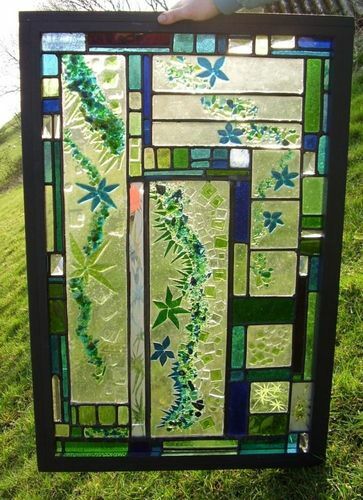 Growing sinuous lines and bursts of color represent my growing life as an artist and my never ending love for color; made in my first year of university and is still one of my most beloved windows. 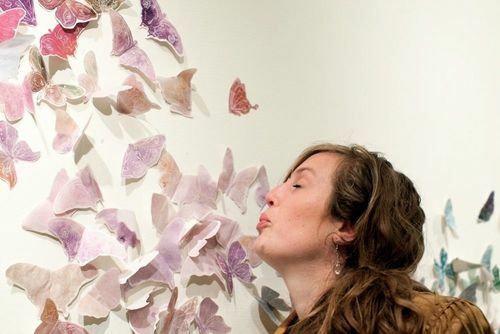 This art installation is to be blown upon, so the moths and butterflies flutter by and make the audience become a part of the art, so it is no longer a static wall piece but a fun interactive work of art. 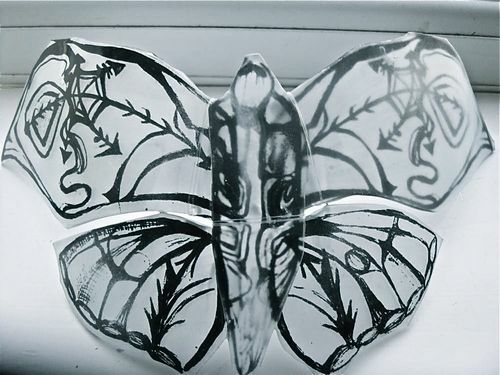 Screen printed fused glass moth, one of many made for large scale out door art installation.